Here I am grouping Leica items that are not either bodies or lenses. None are uncommon nor are any particularly valuable individually. 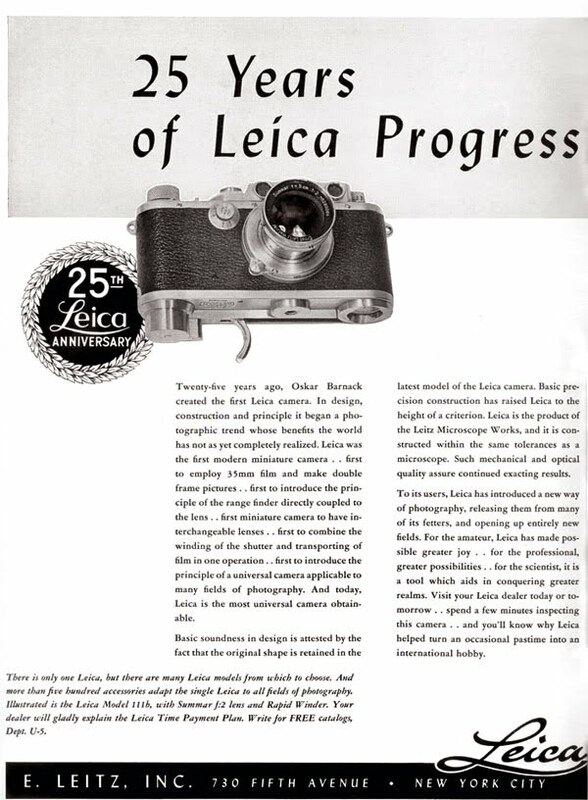 However, they are an important part of the Leica photographic system and examples of technology of the 1930's through 50's. 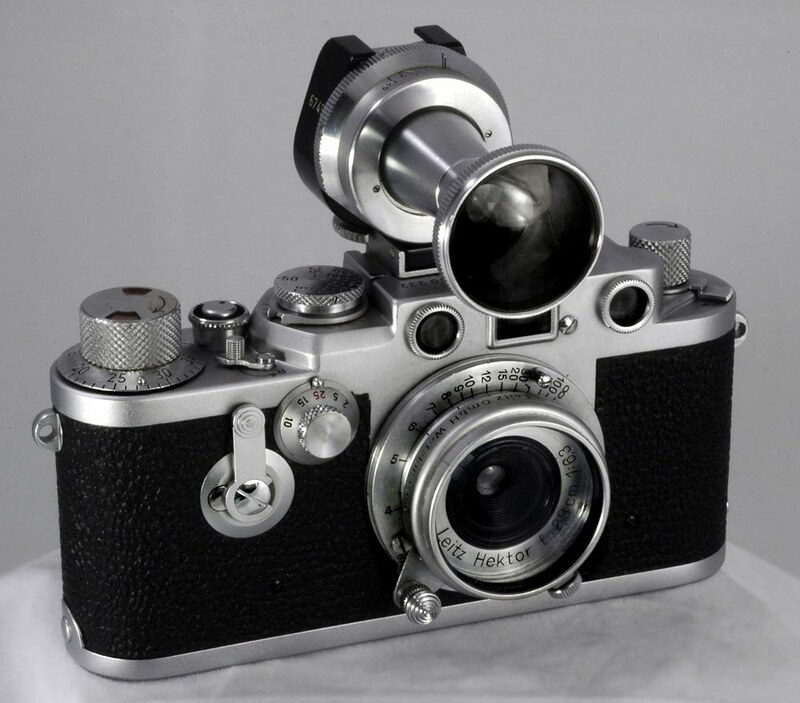 Collectors can appreciate the fine quality of the lenses and bodies, but the accessories other than hoods or filters are often ignored because they may appear somewhat primitive and even of obscure utility. The NOOKY, and the NOOKYHESUM, have taken a lot of criticism from Americans over the past half century and it has had nothing to do with design or utility of this accessory. However, it is a fine instrument and invaluable for close-up or macro photography. The VIOOH straight sided viewfinder was introduced in 1940. It had two prisms and presented an upright image. 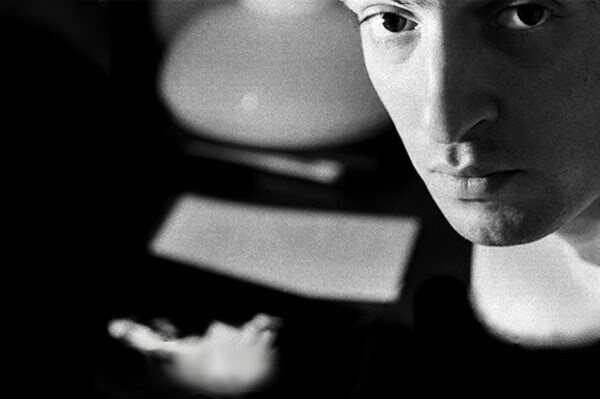 It was produced in several shapes, this one known as the straight-sided version (no. 85598). Many variations exist in the engraved focal lengths, this one having 85mm instead of the 73mm common to others. They were produced through 1963. The VIOOH universal viewfinder with the TUVOO adapter for the 2.8cm Hektor lens. The TUVOO required a threaded nose VIOOH which appeared about 1942. It is shown attached to a sloped VIOOH made in 1949-50. The BELUN was offered for many years from 1932 through 1958. It was a designed to fit the 5cm Summar and Elmar lenses. However, this example was purchased new in 1963 for $7.80 according the accompanying receipt. 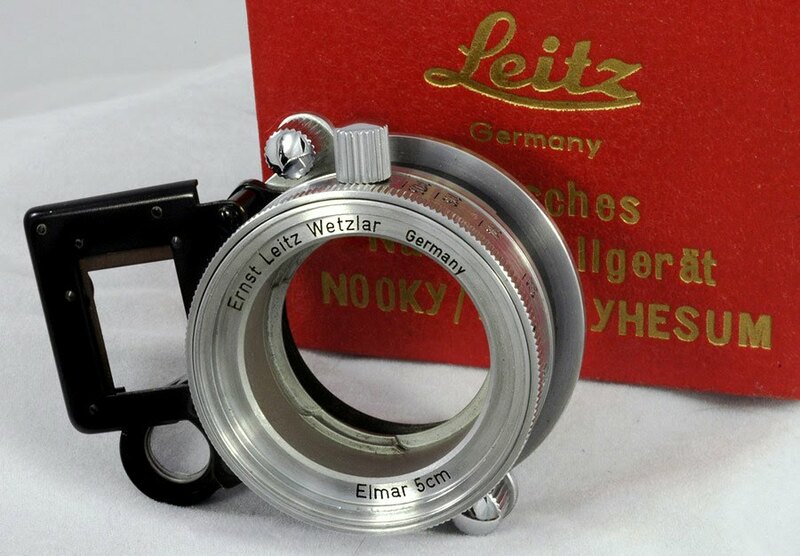 The BEOOY shown here was made between 1935 and about 1940 and accommodated either the 5cm Summar or Elmar lenses. This kit includes the optional BETAB legs. Called the BOOWU Auxiliary Reproduction Device (right), it was offered from 1952 through 1962. This particular example was purchased new in 1953. It was designed to accommodate all 5cm lenses including sun shades for the Elmar and Summarit lenses. 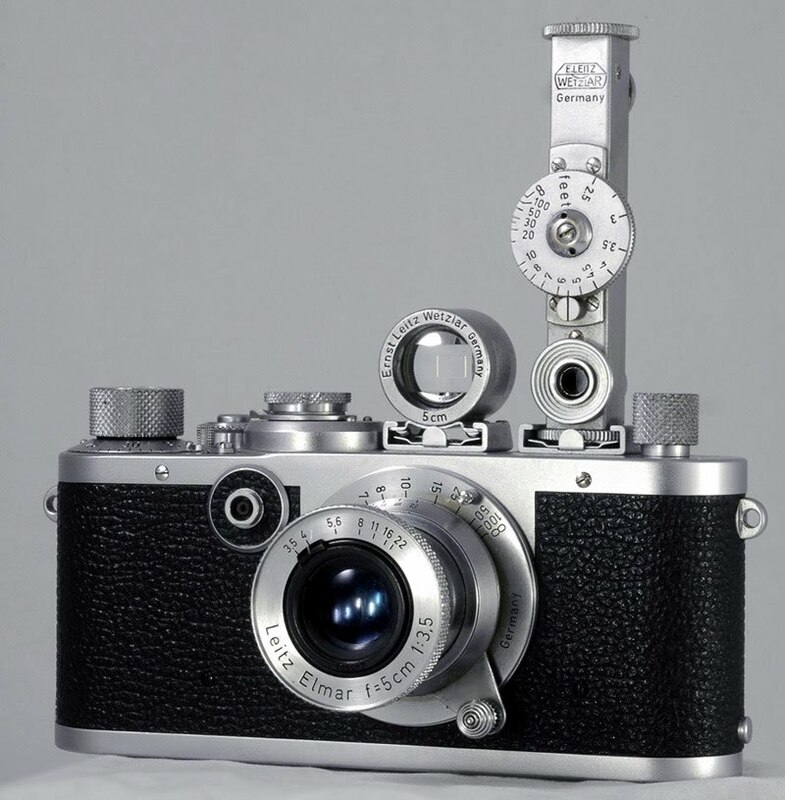 As with others, it was designed to use the lens set at the infinity lock and could copy A4, A5, and A6 size documents. The CTOOM was offered from 1953 through 1964. Early models were made with white plastic but changed to metal about 1955. They were available with either 1/4" or 3/8" fittings shown here. These examples were purchased new in 1956 for $6.60 each. The CTOOM provided a means to mount a flash to the side of the camera and the capability of rotating the flash through 180 degrees. The Synchronblitzer seen here was offered between 1950 through about 1959. This example was purchased in 1956 and took a single D-cell battery. The kit includes a small test light and CNOOS cable. 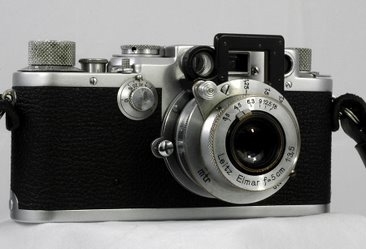 SBOOI enclosed type 5cm viewfinder introduced in 1951. 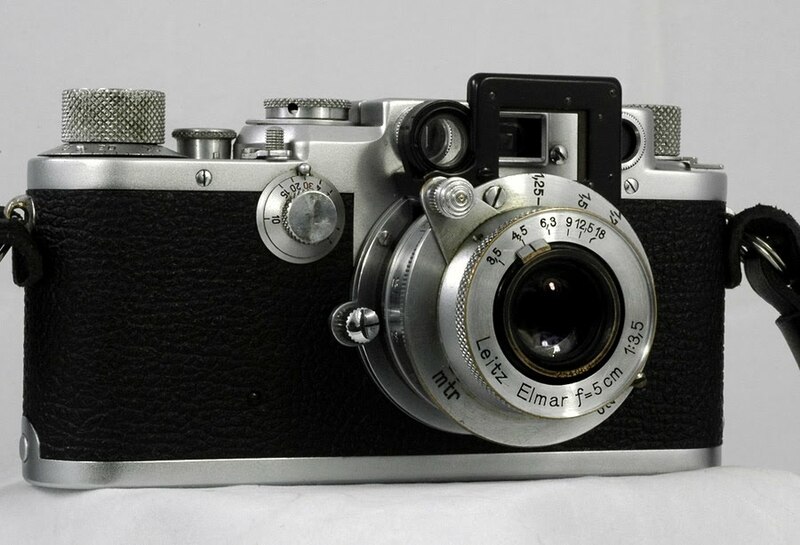 FOKOS short base rangefinder available 1949 through 1966. These two accessories that are particularly useful with the technical versions of the Leica camera. 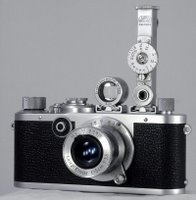 Please note that the rangefinder is reversed for convenience of display.